What’s up at Facebook now? Facebook recently made a number of changes, most notably the change to the Like button and a new Subscribe feature. Here's a brief look at the changes and the possible implications these will have on non-profits, associations and other membership organizations. You’re going to get a Timeline — a scrapbook of your life. In a complete overhaul of its ever-evolving profile page, Facebook is introducing Timeline. …Timeline is in beta now, and will be opt-in to start. In the long run, it will become the new default profile page. You don’t have to just Like something — now you can [verb] any [noun]. Remember when all you could do to something on Facebook — a video, a comment, a product, a person — was Like it? …The social network has launched Facebook Gestures, which means that Facebook’s partners and developers can turn any verb into a button. Facebook apps need only ask permission once to share stories on your behalf. All “lightweight” information is going to the Ticker. Status updates, photos from a wedding or a vacation, changes in relationship status…that kind of trivial detail has been banished to the Ticker, a real-time list of things your friends are posting now that scrolls down the side of your screen. You can watch TV and movies, listen to music, and read news with your friends — all within Facebook. … The ticker will tell you what your friends are watching, listening to or reading, allowing you to share the experience with them by clicking on a link. Let people hear from you, even if you’re not friends. In his Mashable post, “Facebook Launches Subscribe Button for Following Anyone’s Public Updates,” Ben Parr explains that“the button gives you a way to follow the content others are posting without actually becoming Facebook friends with them. In a lot of ways, it’s like following somebody on Twitter. …The Subscribe feature is totally optional — you can choose not to subscribe to anybody, and you can choose to turn off the Subscribe button on your profile if you don’t want to gain any subscribers." What are the Implications of these Changes For Non-Profits and Associations? So – asks John Haydon – what does this mean for Page administrators? 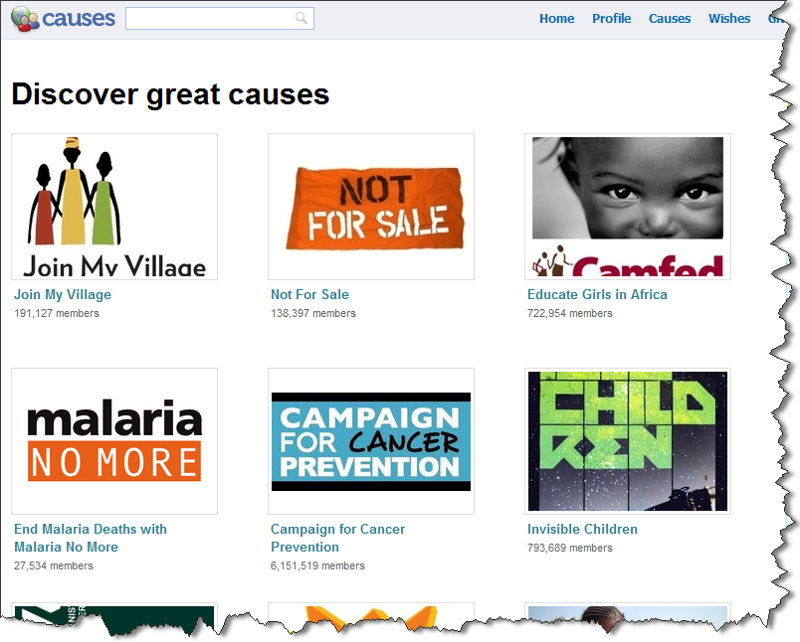 Joanne Fritz at Nonprofit.About.com asks: Why Facebook Changes Should Wake Up Nonprofits? Will These Changes Impact Programs Such as Cause Marketing? How do you think these changes to Facebook will impact your organization? Let us know in the comments below. Nice roundup, Lori! Thanks for including my post too. These changes keep coming and I'm sure everyone is dizzy just trying to keep up, much less understand what it all means. Nonprofits need to be patient and let the changes play out and then decide on their strategy. Thanks Joanne. We'll do our best to keep folks up-to-date as changes occur.